Ticketmaster and Eventbrite will begin selling tickets to a select group of events on Facebook. According to BuzzFeed News, the Ticketmaster initiative will launch by the end of the month. Facebook will collect a “standard affiliate fee” from Ticketmaster for every ticket sold via the social network, but a Ticketmaster spokesperson would not offer further details on those fees. While the purchases will take place on Facebook, ticket buyers must still claim their tickets via the Ticketmaster website or application, BuzzFeed News reported. The select few Facebook users with access to the M virtual assistant being tested on Facebook Messenger can also buy tickets from Ticketmaster, which will send them images of those tickets upon request, but further integration with Messenger is not a given, according to Jon Park of the social network’s product partnerships team, who told BuzzFeed News, “I think it’s something that we’d be interested in exploring,” but added that it was too soon to speculate further. By putting the ability to buy tickets directly within Facebook, we hope that we’re going to provide a more seamless purchase experience and sell more tickets. And Eventbrite said it has been publishing events on Facebook since the social network launched Facebook Connect in 2008, adding that users will be able to buy tickets directly via Facebook and receive QR codes, also within the social network, for easy entry. We are committed to innovation that helps organizers sell more tickets. Enabling a seamless purchase experience for consumers in places like Facebook where they are spending significant time is an important step in this mission. Because events are inherently social, Facebook has been an important partner to Eventbrite since the early days. We’re excited to continue to work together in new ways to introduce more consumers to events organized on Eventbrite, simplify the purchase experience and increase conversion for our organizers. Readers: Would you buy tickets from Ticketmaster via Facebook? 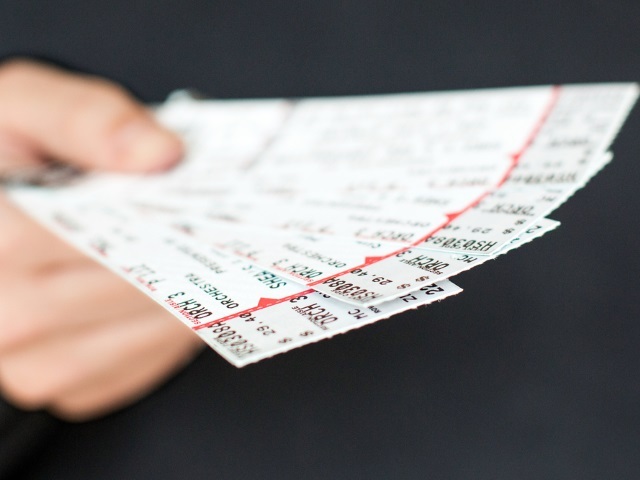 Image of tickets courtesy of Shutterstock. Screenshots courtesy of BuzzFeed News.